This Offer is mainly for those who have good number of friends . 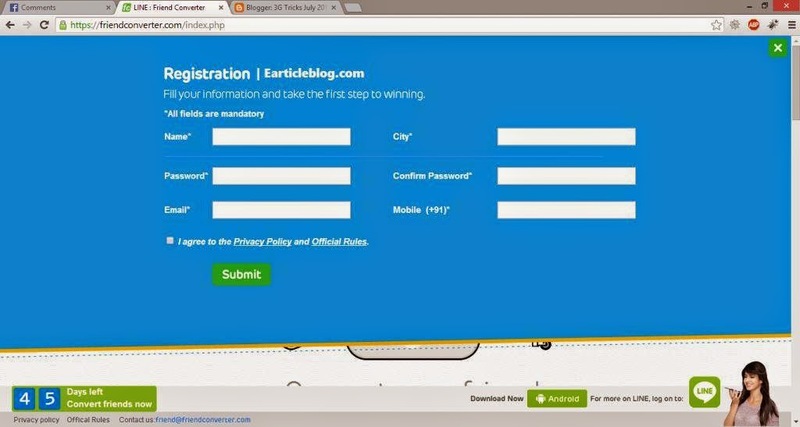 As it is a Refer and Earn Contest. 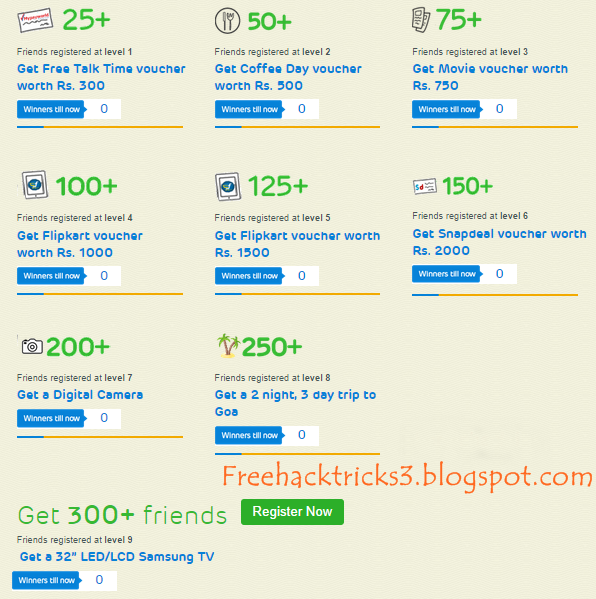 You can Earn a Free Recharge of Rs 300 for referring Friends and More Cool Prizes depends on How much friends you refer . 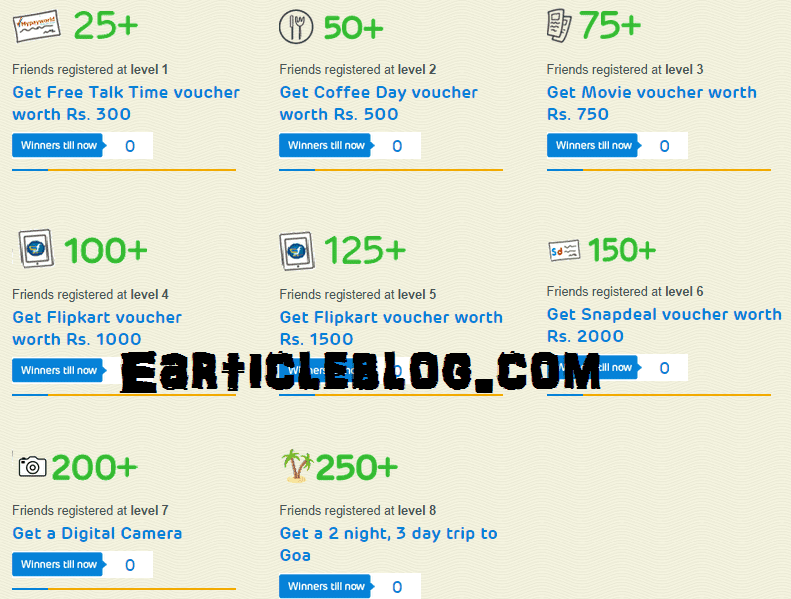 Here is the Reward List according to the Number of friends you refer . 1. Firstly, Update or Download Line Application from this link - Line Latest Android App. 2. You can also use bluestack or any PC Android Emulator for it. Go to - https://friendconverter.com and click on "Register". Fill all details correctly. Name, City, Email Id, Mobile, etc. Now after successful registration you will see below screen. Now you will get your own "Unique Link" to share. Share that link with your friends and ask them to download application. 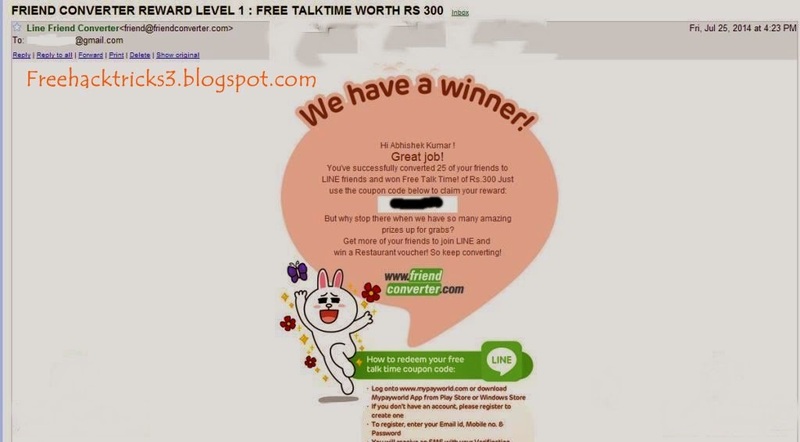 Now refer as many as you can to get free recharge up-to Rs. 300. Note: If you yourself have many sims then you can repeat this process again & again to increase your referrals. Every time you make a new account "Clear Data" from Manage Application Option In Android or Bluestack settings for Line App. I know its quite difficult task to convince 25 friends to download but this is offer so I have shared. The one who have large friend circle will get benefited. Collect 25 Coin and you will get a Free Recharge of Rs 300 . Collect more points for more amazing rewards . Hope you Like this Article . Share this post with your friends and Don't forget to like our Facebook Page . Keep Visiting for More cool Offers and Tricks .